Vasyl Lomachenko (12-1, 9 KO) will be out to prove he's still the best pound-for-pound boxer in the world later tonight (Fri., April 12, 2019) live on ESPN+ from inside Staples Center in Los Angeles, Calif., when he puts his WBA (Super), WBO, and The Ring lightweight titles on the line against English veteran Anthony Crolla (34-6-3, 13 KO). Lomachenko, 31, will be compensated quite well for his main event title defense on ESPN+. According to ESPN's Dan Rafael, "Matrix" will earn a cool $1.2 million fight purse with his estimated guaranteed total near $3.2 million. This is a small increase from the $1 million fight purse Lomachenko earned for his unanimous decision win over Jose Pedraza back in December. 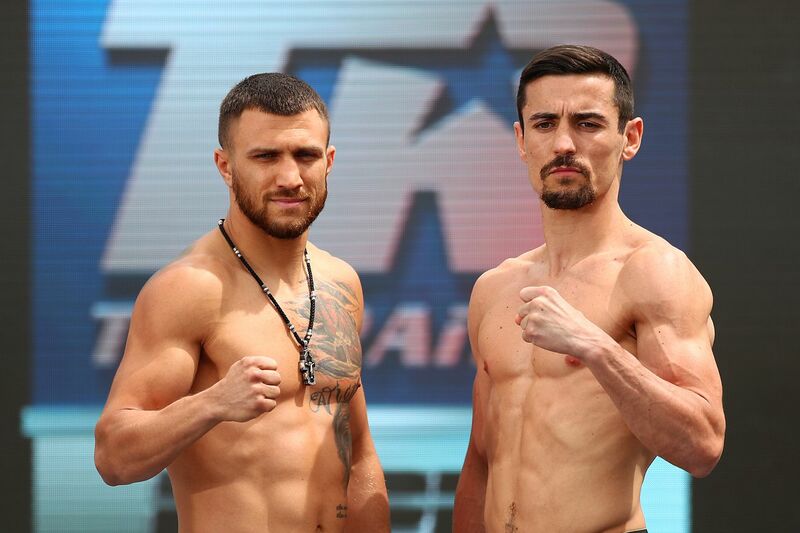 As for Crolla, who is fighting on American soil for the first time since 2011, he will stand to bank a $300,000 fight purse. “Million Dolla” is coming off three-straight wins and will try to pull off one of the biggest upsets the sport has to offer. MMAmania.com will deliver LIVE coverage of the main card, starting with the ESPN+ broadcast at 11 p.m. ET.